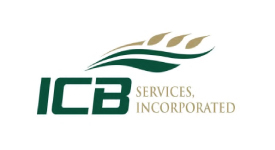 ICBND is very excited to work with Bismarck State College (BSC) and North Dakota State University (NDSU) to offer our members a two-year School of Agricultural Lending. This year’s session will be held June 17-21, 2019 at the National Energy Center of Excellence on the Bismarck State College campus.  Reasonable enrollment fees and an academic atmosphere conducive to a simulating learning experience. The curriculum for the ICBND School of Agricultural Lending is designed to provide you with the practical aspects of agricultural credit & finance, farm management, marketing & related subjects. The core curriculum was developed by local North Dakota Community Ag Lenders in conjunction with NDSU and BSC Agribusiness faculty. Individuals canceling 10 days prior to seminar date will receive 100% refund; 9 to 5 days prior to seminar date will receive 50%; less than five days prior to seminar date will receive no refund. For a full schedule of events/classes see the Session Information below. Lunch will be provided at BSC Tuesday - Thursday as part of the registration fee. Both Tuesday and Thursday evening events/meals are part of the registration fee and no additional fee will be charged. Family members and guests are welcome to both of these events. Rooms have been secured at the Hampton Inn & Suites, 2020 Schafer Street, just down the road from BSC. Discounted rate is $123 plus tax per night. The Hampton Inn offers free Wi-Fi and a free hot breakfast in the morning. 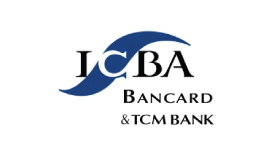 To book your room call 701.751.5656 and mention that you are with the ICBND block of rooms. Block will be held until June 1, 2019.